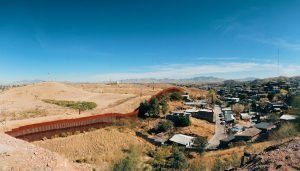 The KBI and its partner organizations reject funding for inhumane enforcement measures at the U.S.–Mexico border. At the time of this writing, the U.S. government is experiencing the longest shutdown in its history. We at KBI are concerned about the well-being of federal workers and are advocating for the government to reopen, but not at the expense of the rights and dignity of individuals at the border. So please join us in contacting your lawmakers about our funding priorities for 2019. In addition to putting forth sensible, humane immigration legislation, Congress also holds the purse strings, and can send a forceful message about unacceptable programs and policies by not funding them. The KBI joins our friends at Justice for Immigrants in calling for a rejection of funding for inhumane immigration enforcement measures—including a wall—and instead supporting sensible policies that recognize the human dignity of all people. Their site makes it easy to send letters (already composed) to your Congressional representatives: http://www.capwiz.com/justiceforimmigrants/issues/alert/?alertid=80584676&type=CO. Thank you for standing with our migrant brothers and sisters! I am with KBI as we are concerned about the well-being of federal workers and are advocating for the government to reopen, but not at the expense of the rights and dignity of individuals at the border. I agree that our lawmakers should reject all funding for inhumane immigration enforcement measures—including a wall—and instead fund sensible policies that recognize the human dignity of all people.